Stick a fork in California online poker coming online in 2017. It's done - at least this year. 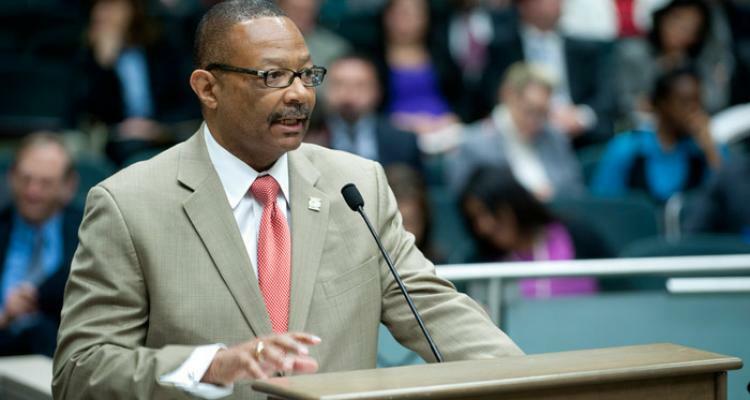 Assemblyman Reggie Jones-Sawyer has officially called time of death on this year's online poker bill and insists that lawmakers need to go back to the drawing board on the issue for 2018. Assemblyman Jones-Sawyer spoke with Online Poker Report late last month and told them what we've been expecting for months now. He told reporters, “Obviously, we’re not going to put anything across the desk now. If you look at the Assembly we have other big things such as the transportation bill to focus on. This would not be a good year to put something controversial in." AB 1677 was released earlier this year and, early on, it seemed doomed. The bill lacked any type of suitability language, the primary obstacle remaining for getting a bill passed. Lack of movement on the bill following its release hinted that the issue may be dead but Jones-Sawyer has now confirmed that a bill will not move forward. With online poker now a 'dead' issue in California this year supporters have to look forward to next year. That's assuming that there's anyone willing to deal with the issue. Jones-Sawyer mentioned that lawmakers need to come together and do a bit of healing before a bill has a realistic chance of moving forward. Continuing on that thought, he said “I don’t want to sound like a minister or psychologist, but we’ve got to start from ground zero where we’ve got to at least get people to want to try to get it done again." He hinted that part of the problem may have been the approach taken last year by lawmakers. Assemblyman Adam Gray pushed a bill through committee and tried various tricks to get a bill accepted by Indian Tribes. However, the final bill alienated PokerStars and its coalition and they ended up being labeled with the obstructionist title. Jones-Sawyer seems to prefer a more methodical approach to passing iPoker legislation, which likely means we won't see any true progress for a couple of years. What Now for California Online Poker? For now all that online poker supporters in California can hope for is that Pennsylvania or New York can pass a bill and perhaps influence California to act. With the recent developments in California it seems unlikely that any future bill will move quickly based on current attitudes in the legislature. If you support online poker in California, we urge you to contact your lawmakers and tell them that you support legalized online poker in the Golden State. At this point, all we can do is wait. As always, we will report on any developments in California but don't be surprised if a multi-year process is ahead.